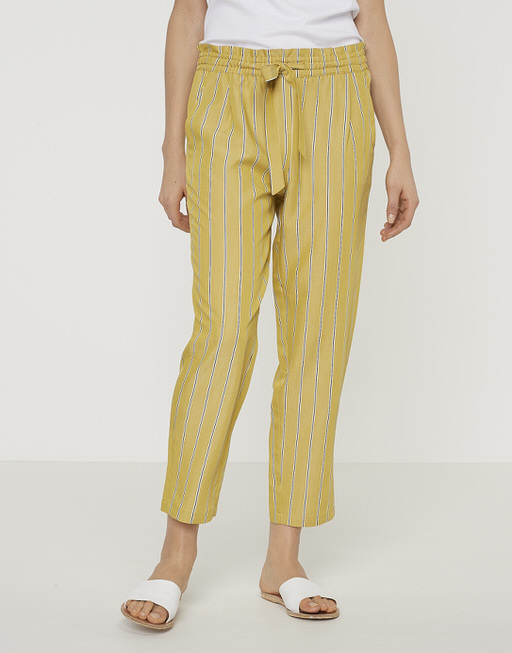 These summer trousers impress with their airy silhouette. The trousers come in a 7/8 length and play flatters the leg. The comfortable elastic waistband is adorned with a large knot detail, creating a paperbag look. The stripes create a cool and fashionable look with which casual outfits can be created.